The PS4 won Sony the entire first half of this current console generation, with its stylish design, excellent controller, solid hardware spec and, crucially, best-in-class games library blitzing the Xbox One out of the gate. Today, despite being superseded by more powerful systems, that awesome games library remains, meaning that the PlayStation 4 is still an excellent choice for those looking to game at 1080p and/or on a budget. Welcome to T3's official PS4 review. The Sony PlayStation 4 couldn't have asked for a better start to its life cycle, with Microsoft spectacularly dropping the ball with its mishandling of the Xbox One in its build-up and opening 12 months on release. In the years that have followed since Sony has continued to build on that lead and established a clear advantage this generation in both install base and mind share. Even to this day the PS4 remains a fantastic console to play amazing PS4 games like Dead or Alive 6, Sekiro Shadows Die Twice, and Tom Clancy's The Division 2. However, with this console generation becoming increasingly fractured, with the Xbox One S, PS4 Pro, and Xbox One X entering the fray over the past few years, it is becoming increasingly difficult to recommend an obvious winner, with each console arguably suitable to specific setups, budgets and tastes. As such, despite the PS4 being superseded now in terms of hardware specs, it is still an incredibly powerful gaming system and should definitely be considered if you are in the market for a first or second console. Read on for our full PS4 review. The Sony PS4 is surprisingly svelte for such a serious games machine at 2.8kg, its 275 x 53 x 305mm frame both smaller and lighter than the original PS3 and even its PS3 Slim follow-up. Somehow, there's no unsightly power block to hide either. Next to the Xbox One, it's the clear aesthetic top dog, you'll feel proud to have this in your living room, and it's easily ported around the house. Looking like a suitably futuristic if unassuming black monolith, with all vents and most ports hidden round back, the matte/gloss aesthetic is divided by a glowing power line that glows blue at boot up before giving way to a more living room-friendly white. It looks good beneath or beside your telly, whether laying down or, as we prefer, upright (the horizontal-only Xbox One is going to require a bit of under-TV rearranging). The connections at the back are now all digital, with an aux port for the optional PlayStation Camera, Ethernet for wired online connections, an HDMI port to hook up to the telly and Optical Audio out, too. Up front there are two discrete USB 3.0 ports to charge the wireless controllers, beneath the on/off and eject buttons that sit either side of the disc port (6 x Blu-ray, 8 x DVD). It also has Wi-Fi and Bluetooth, the latter syncing the controllers. Despite the more power-packed eight-core Jaguar x86-64 processor and 1.84 TFLOPS AMD Radeon GPU, the console's innards are noticeably much quieter than the current-gen machines. While we're still not talking silent running, a very light hum when games boot up and get overly busy is about as active as it gets. The PS4 comes packed with one DualShock 4, though additional controllers are available at around £50 a throw (the console supports up to four). It's a massive improvement on the last iteration and the best pad PlayStation's produced. Sturdy and reassuringly weighty in the palm compared to the always-a-bit-light-for-us DualShock 3, its surprising sleekness is married to a textured coating on the base and dual sticks that aid grip. The button configuration is, at first, as you'd expect – two analogue control sticks, a bumper and trigger button on each side, and four shape-marked action buttons on the front. The dual sticks feel stiffer compared to the PS3's, which we've found can help accuracy, though it takes some getting used to. The triggers are now very trigger-like indeed, more flush than before, and their close placement to the shoulder buttons is a good design move that aids quick changes. The improved motor rumble and added speaker, which throws out in-game orders if required, also give you more immersive, contextual feedback. However, where there was once Select and Start, there are a raft of new options there place. The first, called, well, Options, is a surrogate pause button that also brings up contextual info when in the main interface and lets you delete items in the menu. Share, on the other side of the pad, is the one-stop media shop that lets you put image stills or video of your game on to social networks, or even stream direct once you've set up an account. A quick click of the button automatically takes a screenshot and saves the last 15 minutes of your gameplay to your hard drive (the PS4 has already been recording you, see? ), and takes you to a sharing menu; a longer held click just takes an on-the-fly screen grab. Captured screenshots are around 250KB and a video 792MB locally, which you can then share out to Facebook or Twitter if you wish. Video sharing requires a Facebook log-in to function, for some reason, with no inbuilt YouTube sync as yet and no ability to port any of your footage out on to an external drive either. There's also no editing suite at present, unlike the Xbox One's excellent Upload Studio. If you want to broadcast your efforts of gaming prowess on to the internet, you can choose either Twitch and Ustream, but you'll need an account with them directly before you can activate and the PS4 just sends you off to their websites. You can also stream direct to YouTube now, a feature that was lacking at launch. Neither of the new buttons is particularly elegantly placed or of a large enough size for quick, mid-game use – there's still that unfamiliar fumble each time, leading to the odd eyes-off-screen death – but we suspect we'll get used to them. Their multi-functionality makes them a real boon. In the middle is the Touchpad, a tactile interface based around the PS Vita's rear input. It's not textured at all, smooth to the fingertip, but is fairly responsive when navigating menus and can also act as surrogate buttons, with two click points like a mouse. Below this and the speaker is the PS button, which acts like an iPad's Home button (as well as logging users on multiple controllers in and out) and the headset port (although the provided one-bud earpiece is a bit cheap and smartphoney). Battery life for the controller is a decent if not spectacular seven hours, which is a fair bit less than the DualShock 3's, though with the amount of new tech on board, was to be expected. It's charged, handily, via micro-USB to USB rather than a proprietary connection from the front of the console, so you're sure to have a spare cable knocking around if you lose this one. Once into the new PS4 interface, you notice how quick and smooth the whole experience is, the most palpable effect of owning a new piece of gaming hardware after a six-year wait (and a not-yet-taxed 8GB of GDDR5 RAM). Going back to current gen after a few hours in its company is like trading broadband in for dial-up. But while it makes the last gen feel archaic when you return, there's a familiarity here. Sure, the visually striking dynamic window tiles may fill the screen and a 'What's New' social feed of you and friends' movements hang below, but a tweaked XMB bar sits just above it for more in-depth settings, while the classical audio strains and floaty background wallpaper remain almost identical. Breezing along the menus, in and out of apps in a flash, is a revelatory experience, but its design can sometimes feel almost too unstructured. It does feel that there are perhaps a tad too many options, especially in the top line of the XMB, but it's an issue you only ever come across if you're checking up on trophies or updating your settings. The controller's PS button acts as a handy default pause and home key to suspend whatever you're doing in one touch. It sounds basic but the ability to alter settings on the fly, without having to log out and boot up again, is something smartphones and tablets have been doing for years, but consoles are finally there. Multi-tasking is go (though only one game can run at a time still). System updates are a thing of the past, as they now update in the background, while the promise of being able to play a game as you download it is only part fulfilled. We had to wait for Warframe to part-download from PSN before we could play, although this is on online-only game. But discs seemed to play instantly despite clearly shifting data over to the hard drive, which they did with no noticeable issues. All PS4 titles are now available for digital download from the PSN Store, though with some next-gen triple-A games clocking in at up to 40GB a go, we're not sure the same-sized 500GB hard drive as our old PS3 is going to last long (which is actually nearer 400GB of free space after OS software). PlayStation Now, Sony's attempt to bring backwards compatibility to PS4 without actually offering it, is also available on your console. It's essentially a game rental streaming service with a huge back catalogue of games from PS3. It's certainly an interesting way for PS4 owners who never owned a PS3 to access that considerable back catalogue, but with a hefty subscription service and only 400 games on tap, it's not proved a hit with users. Since launch, plenty of absent media-focused features have been patched in. Support for USB support, including the use of MP3s, was patched in with the Media Player in June 2015. In fact, a huge selection of file types are now supported including MP4 and AAC. On the services front, we're promised Netflix and BBC iPlayer to tick the boxes in the UK, but even in the US there's not a huge selection (the usual Hulu and Crackle), with Sony focusing its music and video efforts very much on its good if restrictive Music and Video Unlimited subscription streaming hubs (from £4.99 a month for the first and pay per view from £2.50 on the latter). Control can be expanded beyond the included set-up with a variety of optional extras. The PlayStation Camera, which adds Kinect-esque motion-sensing to the gaming mix as well as, more usefully, voice-controlled menus (with a simple 'PlayStation…' order) is a nice, inessential piece of kit. However, with PlayStation VR now dropping in price it, arguably, is becoming a more and more useful investment. While not as uniformly integrated or perhaps technologically advanced as the new Kinect, it does individual tasks very well indeed. Voice pick-up is much better than current-gen Kinect, while we set multiple log-ins to face recognition and it got us all every time, even in a crowd. The PS Vita handheld, if you haven't already taken the jump, is an excellent gaming portable in its own right. With a selection of very good games at reasonable prices, it now joins in with the PS4 as part of the Remote Play functionality (download the latest firmware on to your Vita to join them up). There's also PlayStation App, available for iOS and Google Plays smartphones and tablets, which takes the PS4's UI to your phone or tablet. As well as managing your account and chatting to PSN friends on the go, you can also line up purchases and even interact with games and media as a second-screen input or output. Want to play the best game on PS4? Perhaps even one of the best games of all time? You'll want Uncharted 4: A Thief's End then. The final chapter in the saga of PlayStation icon Nathan Drake (think Nathan Fillion cosplaying as Lara Croft) as he's drawn away from a quiet life back into the alluring and dangerous world of international treasure huntng. It sounds ridiculous at first glance, but across four main games (and a handheld spin-off on PS Vita), the Uncharted series has helped marry platforming, cover-based gunplay, action set pieces and the kind of production values once only resigned to films and HBO TV shows. You don't even need to have played the previous games (although it does help for added emotional resonance), so anyone can jump in. Go on, play it. Play it now. If you're into games, there's a good chance you've heard of Dark Souls, an infamously super-hard game surrounded by a community that's almost as impenetrable as some of the game's own systems. For those that have been put off by such a cultish following, PS4-exclusive Bloodborne serves as the perfect way in. Made by the same amazing game director, Hidetaka Miyazaki, Bloodborne is all about empowering the player in a world of danger. Where the Souls series is all about measured caution and defence, Bloodborne is all about offence and aggression with a bloodlust burning behind your eyes. It's just as tough as DS - tougher in places, if we're honest - but some amazing weapons and all the tools you need to survive, it's a must for your collection. When it comes to creating sumptuous platforming action, few can hold a torch to the portfolio of Insomniac Games. Next to Spyro from the PS1 era, the comedic sci-fi platformer/shooter mashup of Ratchet & Clank is their calling card and the remake/soft reboot of the original R&C (which appeared on the PS2 back in 2002) is a riot on PS4. Gorgeous to look and endlessly rewarding to play, Insomniac Games return to the roots of their most successful series and brush away the cobwebs of time, adding in features that bring it in line with modern expectations while removing those niggly bugs that cropped up back in PS2 development. Fun for any age, Ratchet & Clank is a must. If we could pick one multiplatform game, there are so many we could ultimately settle on (MGS V: The Phantom Pain, Batman: Arkham Knight and Dark Souls 3 being three such possibilities), but our hearts know better: no one can hold a torch to The Witcher 3 Wild Hunt. A vast, ambitious action-RPG sandbox, Wild Hunt offers the most immersive fantasy world since TESV: Skyrim in 2011. From tracking, planning and hunting monsters across the land to playing a game of Gwent in a local tavern, Wild Hunt is the closest thing you might ever get to living the life of a fantasy badass. This might be the last game to feature Geralt of Rivia, but the White Wolf will live long in that aforementioned heart. 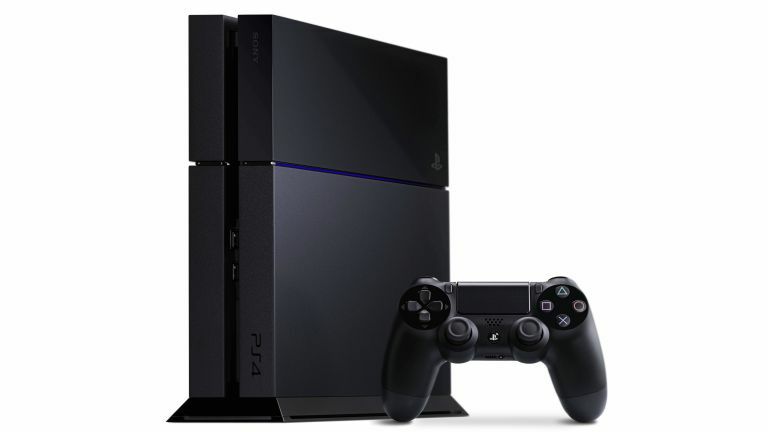 The PlayStation 4 is a fast, great-looking, powerful 1080p gaming console at a very attractive price point. It also packs the best controller that's adorned a PlayStation machine so far, has a large selection of good games of all sizes and price points to play from the off, and its list of exclusive titles has swelled impressively in the years since launch. While Sony's focus on gaming, gaming and more gaming has left the PS4 a bit light on the multimedia entertainment side, its compatibility with all your favourite streaming apps from Netflix to Demand 5 makes it as robust as most smart TVs. It doesn't live up to the media offerings on Xbox One S and X thanks to their Ultra HD Blu-ray players, but it still offers HDR, 4K streaming capabilities providing you have a compatible TV. Also, with its Remote Play functionality with PS Vita (enabling you to stream the entire console's UI and every PS4 game straight to your handheld over Wi-Fi), the PS4 has a killer feature that no Xbox can deliver. The fact every single PS4 can be mapped to the plucky little handheld is still really impressive in our eyes. The PS4's DualShock 4 controller might not have the most robust build quality (those flaking thumbsticks remain a bane for all), but it's still a forward-thinking pad that has all the features it needs to keep you in control of a modern console beast while retaining that all important PlayStation heritage. And while newer, more powerful consoles such as the PS4 Pro now exist, the PS4 is no diminishing piece of hardware and remains an excellent choice for those gaming at 1080p or on a budget. It's a powerful and reliable platform that kindly reminds the industry that, first and foremost, it's about the games stupid.